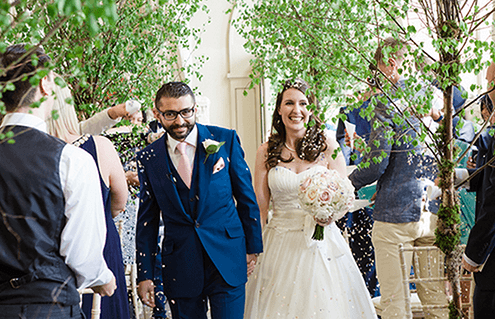 With the festive season being the most popular time of year to propose, we thought we’d start the New Year with a Bespoke Wedding Suits style guide, dedicated to those soon to be tying the knot. There is much to consider when creating an ensemble befitting a groom and with a multitude of cloths, linings and style options, getting the finer details just right can be somewhat daunting. 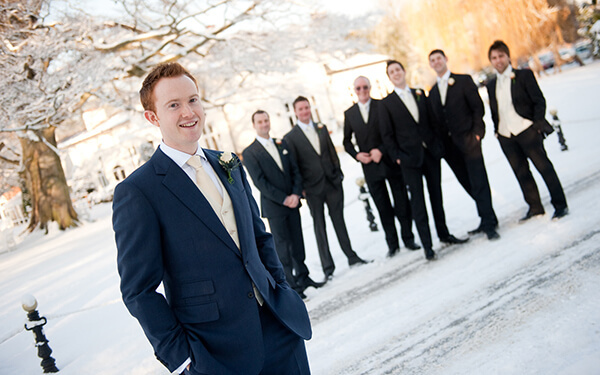 Today’s grooms take their weddings seriously, understanding the importance of getting the right look to reflect both their personality and the style and theme of the event. So, it’s advisable to start the process by taking time to think about what kind of look you want to achieve on the day. There are many wedding styles from which to draw your inspiration. Traditional morning tails, contemporary frock coat, dinner jacket, classic three piece suit or something with a more eccentric edge. 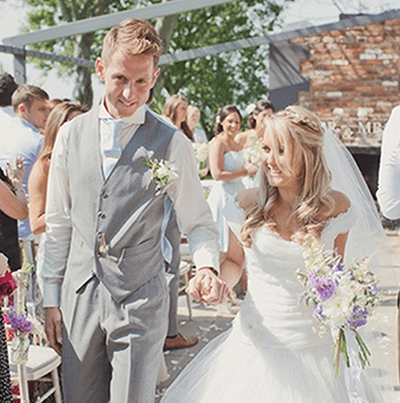 With plenty of menswear style blogs to guide you – we have an entire wedding suit ideas section on our website – as well as Pinterest and Instagram, you won’t be short of inspiration for bespoke wedding suits. Cloth selection is your next step. 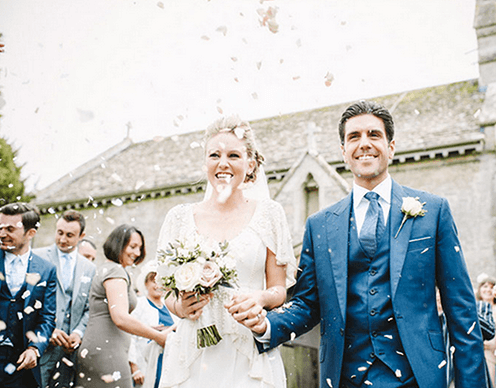 Will your wedding be held alongside a Scottish loch, or on a paradise beach in the tropics? In either location, and anywhere in between, selecting the appropriate fabric weight and composition is vital to looking and feeling your best. To enhance your best features it is important that your colour choice complements your complexion and skin tone. It is also worth bearing in mind that the more flexible the colour choice, the more you’ll be able to wear your suit for occasions after the wedding. The choice of suit lining gives you the opportunity to reflect your personality by striking out and being bold. Alternatively, you can keep it simple and use it as a way to tie your look in with the colour scheme of the overall event. Next up is the shirt. We would always advise a bespoke shirt as this will not only enhance the finer features of your suit but has the added advantage of a perfect fit. Last but not least, the finishing touches. There are a wealth of options to choose from here – bow tie, plain tie, patterned, floral, silk or knitted? Tie pin and/or collar bar? Pocket watch, braces, socks? Throw a pocket square in too and you have a great deal to consider. In our opinion, there is no hard and fast rule. It’s down to individual preference and getting the right look for you. Steer on the side of classic, avoid anything too garish, and you can’t really go wrong. 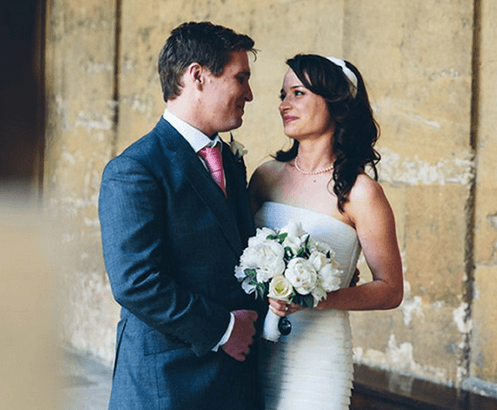 Whatever look you want to achieve, our complete bespoke wedding suits tailoring service will ensure you make the perfect groom.